Category Archives for "Gluten Free Dairy Free"
Does your family have different food allergies or sensitivities? Mine does, and it makes meal planning a bit difficult for me. My husband is allergic to gluten, and I have a kid who is allergic to dairy and another one that’s allergic to eggs. Honestly, it is quite hard to grocery shop and prepare meals because I have to be careful and make sure to consider the ingredients that I’m going to put in each recipe so that it will be safe for everyone to eat. Preparing individual meals for each is not an option because I don’t have the time and that will certainly be too expensive for our budget. 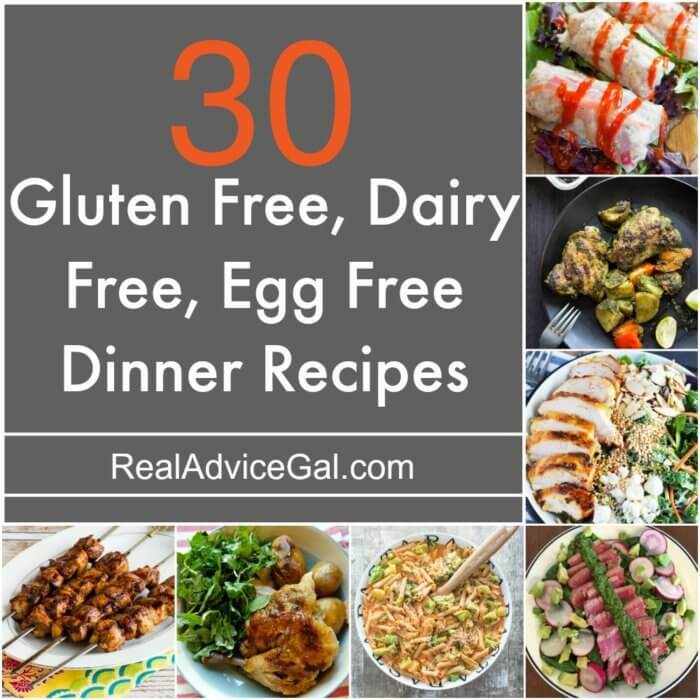 So to make life easier, I made a list of Gluten Free Dairy Free Egg Free Recipes that I know my family will enjoy and that are easy for me to prepare especially during busy days. Crispy, crunchy, flavors that are punchy. Cookies that crumble. Cookie that you want to eat. Cookies that you can have delivered. 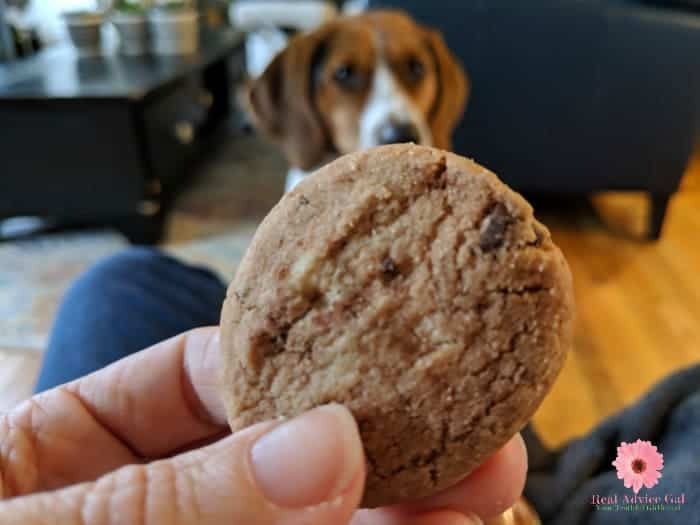 Nana’s Cookies were the answer to our dreams. You see there was a moment when we thought our life would be without dessert. Life without dessert resembles a dog in the window as you leave. Life without dessert is like a book without an ending. It is a party without music. Let me share what life was like before Nana’s cookies. Me in the kitchen attempting to bake. It was expensive because the ingredients weren’t ones we had on hand. I also couldn’t figure out the proper balance, and If you ask my kids, they will say I made a lot of door stops. This new year my goal is to make meals that are simple and fast! I love using my crockpot and I have several favorite recipes, but once I got my pressure cooker, it has made my life so much easier! I can make the same meals they use to take 6-8 hours and make them in my instant pot in about 15 minutes to an hour. 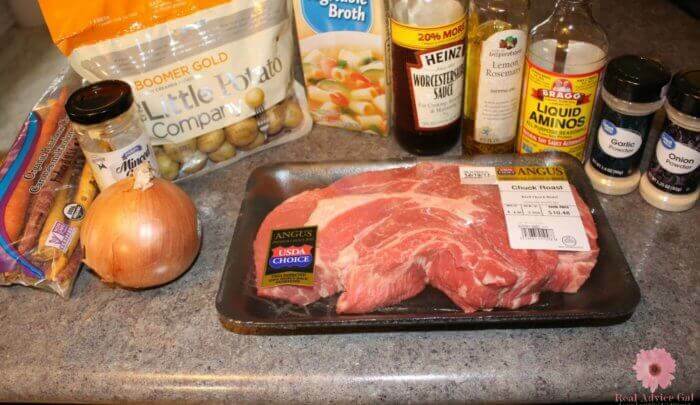 There is one recipe I hardly ever make, and that is Pot Roast! It takes so long to slow cook. 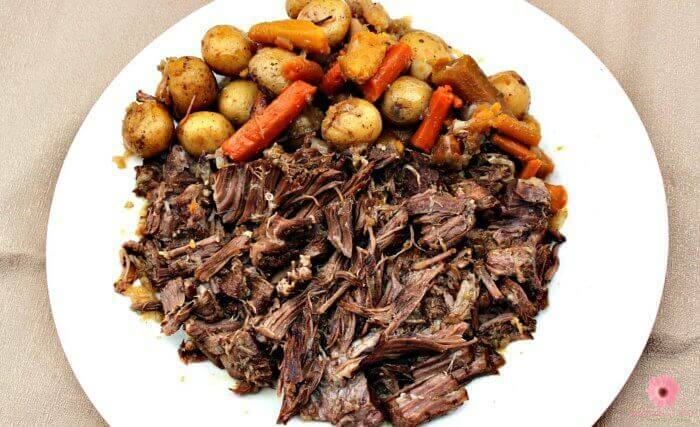 I decided to give it a shot in my pressure cooker, and I’ve now added this instant pot pressure cooker pot roast recipe to my favorite list! Even my kids loved it and ate it all! Now that is a keeper. This recipe is very simple and delicious! This is a great recipe that is perfect for a family night or dinner with friends! Give this a try and tell me how you like it! I’m sure you will enjoy it as much as my family did! Grab the knife and peeler and do all the prep work first! Lay out the Beef Roast first so it can get close to room temperature. Peel the carrots and dice into about 2-3” pieces. Slice the onion into rings and separate. Measure all dry and wet ingredients. Once that is done, Rub the beef roast with salt and pepper. Drizzle the oil into the pan and turn to sear. Add the sliced onions to the pot and let them cook for about 5 minutes and toss them around, so they don’t stick. Remove the onions and place the beef roast into the pot and let it sit there for 3 minutes, then rotate and do the other side for 3 minutes. Stand it up and do each of the ends as well for about 3 minutes too. Once that is done add your carrots and potatoes. Mix the broth, garlic, onion powder, garlic powder, worcestershire sauce, soy sauce and pour into the pot as well. Give one good stir then close the lid and press the manual button to cook for 1 hour. My family loves cake, who doesn’t right? But recently we’ve been trying to eat gluten free so I have to find a way for all of us to still enjoy cake. 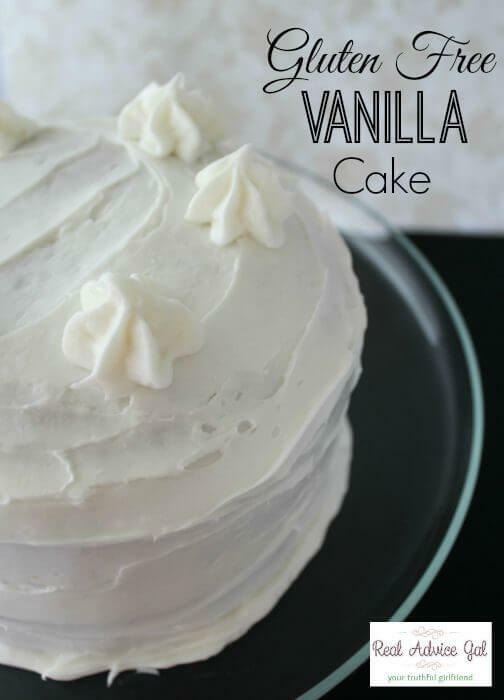 This Gluten Free Vanilla Crazy Cake Recipe is heaven’s gift to my cake problems. It’s so delicious and very easy to make, you can make this for birthdays, special occasions or to just make the day special. I promise kids won’t even notice the difference and they’ll love this. I usually cook a Rachel Ray’s recipe but I had to take a break. Why? Well, My friend posted her amazing soup recipe on Facebook. I asked if I could share it with you. 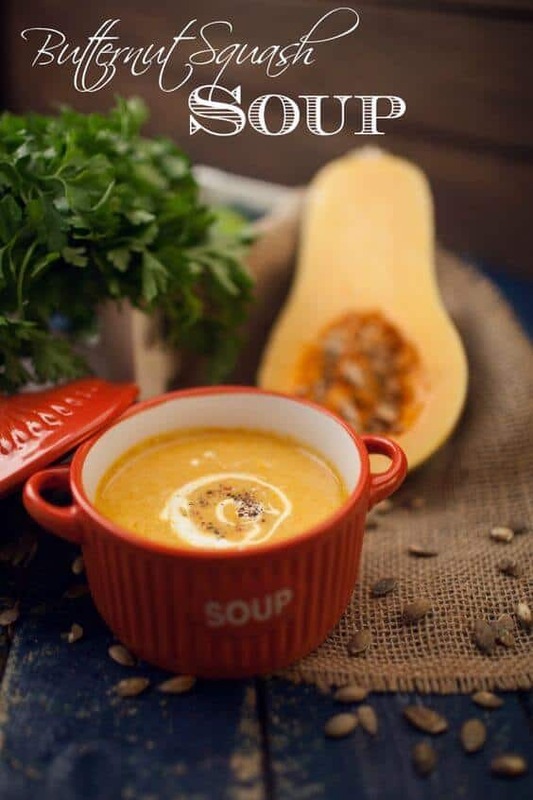 This is the best soup I have ever had using squash and it freezes well. Bake the perfect treat that you can serve with coffee or tea. 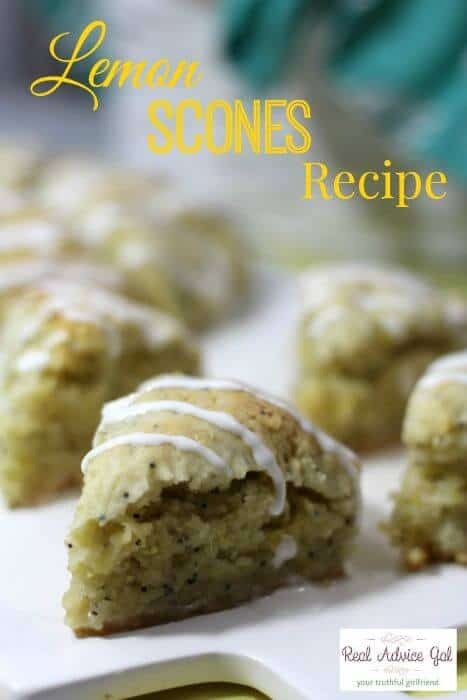 This Lemon Scones Recipe with Lemon Lime Sauce is just perfect. It’s moist with just the right sweetness. This is great for tea party, for brunch or for snack.